But all rules are meant to be broken, and a North Carolina Chick-Fil-A just broke this Sunday rule. WTVD in North Carolina reports that franchise owners Donovan and Nikki Carless were horrified by the Hurricane Florence reports in their state, and asked their employees if they wanted to get together and help. 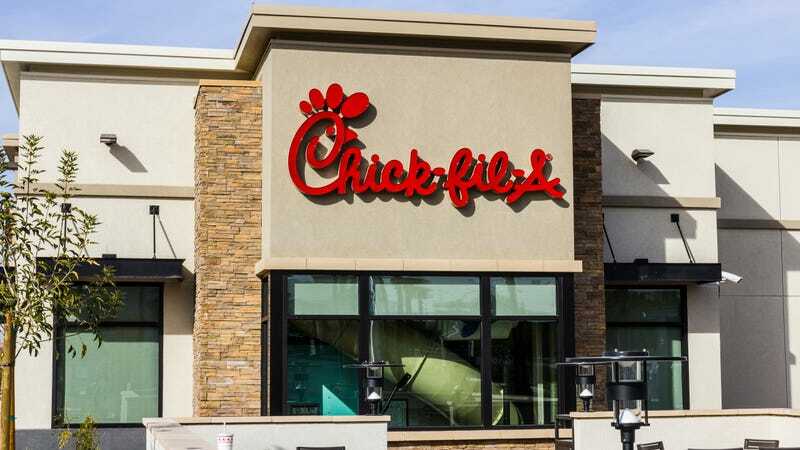 (Although it’s not clear from the local news stories so far if this Chick-Fil-A was actually open for business, or just open so that its staff to make the food donations.) The crew then “coordinated with the Red Cross, and, 500 sandwiches and 1,200 nuggets later, people at three different shelters in the area had a hot, free meal.” The Carlesses even delivered some of the food personally. Seems like an extremely good reason for straying from that particular tradition.